The month of November signals the start of an exciting campaign called It All Adds Up! Have you ever wondered how all your experiences, hobbies, and passion come together? If you have, you are not alone and filling out a poster may be just what you need. The campaign has been created to help reduce students' uncertainty of the gap between their accomplishments and future aspirations. Many students focus on continually adding more experiences to their repertoire without considering the impact it may have on achieving their future goals. Completing an It All Adds Up poster will give you a snapshot of your current career path and how well it aligns with your goals. The CareerZone staff is well trained in advising for this types of situations and can provide helpful resources and knowledge to develop a plan for achieving your future goals. 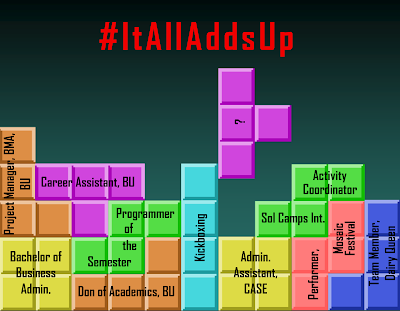 The following image is an example of an It All Adds Up poster created by a Career Assistant at Brock University. For all of you interested in participating, come visit CareerZone located in Market for a template, or be as creative as you like designing your own poster. Students who complete a poster can tag #ItAllAddsUp and #brocku to spread the word. At the end of each month until April we will be giving away a $25 gift card, so be sure to include your name, student number, and Instagram handles on the back of your poster. Feel free to post your own It All Adds Up poster or email it to us, career@brocku.ca, and we will post it. 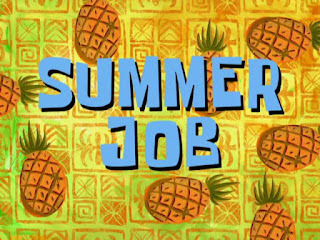 Teachers College: Where Should I be Applying?